We’re delighted to announce our first list of speakers. We will be sharing more as further speakers are confirmed. Ben is one of the world’s leading polar explorers, and a record-breaking long-distance skier who has covered more than 7,000km (4,300 miles) on foot in the Polar Regions since 2001. His accomplishments include leading The Scott Expedition, the longest human-powered polar journey in history, and the first completion of the expedition that defeated Captain Scott and Sir Ernest Shackleton, a 105-day round-trip from Ross Island on the coast of Antarctica to the South Pole and back again. Ben is the third person in history to ski solo to the North Pole, and holds the record for the longest solo Arctic journey by a Briton. He is an ambassador for the Prince’s Trust, a patron of British Exploring, a fellow of the Royal Geographical Society, and an acclaimed keynote speaker, described by TED (where he has spoken three times) as ‘A master storyteller’. Dr. Jorgensen is president of Biotech Without Borders, a nonprofit organization dedicated to promoting science literacy and hands-on access to biotechnology. Her previous nonprofit, Genspace, was named one of the World's Top 10 Innovative Companies in Education by Fast Company. Her efforts to promote low-cost bio-innovation are featured in Nature, Science, Discover, Wired, Make, BBC News, Dan Rather, PBS News, Discovery Channel, and The NY Times. She has a Ph.D. in Molecular Biology, spent over 30 years in the biotechnology industry, and is faculty at the Cooper Union. Her TED talks (Biohacking: You Can Do It Too and What You Need To Know About CRISPR) have received over 2M views. Fast Company named her one of their Most Creative Leaders in Business. Erin is the author of The Culture Map: Breaking Through the Invisible Boundaries of Global Business and is a professor at INSEAD, one of the world’s leading international business schools. Her work focuses on how the world’s most successful global leaders navigate the complexities of cultural differences in a multi-cultural environment. Erin’s framework allows international executives to pin-point their leadership preferences, and compare their methods to the management styles of other cultures. Erin has taught thousands of executives from five continents to decode how cultural differences are impacting their work, and strategies for improving their international collaboration. Erin recently won the 2015 Thinkers50 “On the Radar” award, given to the up-and-coming thinker most likely to shape the future of business and business thinking and was selected by HR magazine as one of the top 30 HR influencers of 2016. Prior to his academic career, Moran spent nearly ten years as a hacker, breaking into government and financial institutions to test and improve their security. This hacker's mindset has led him to approach neuroscience in non-traditional and novel ways. Born in Finland, Patrik is a professional poker player. He made the move into playing at the tables after spending a number of years of his life playing and teaching tennis. Over the past ten years, Patrik has managed to become one of the top 4 most recognisable and popular names in the poker world. He is best-known as a feared cash game player, having done exceptionally well for himself in both "live" and online cash games. 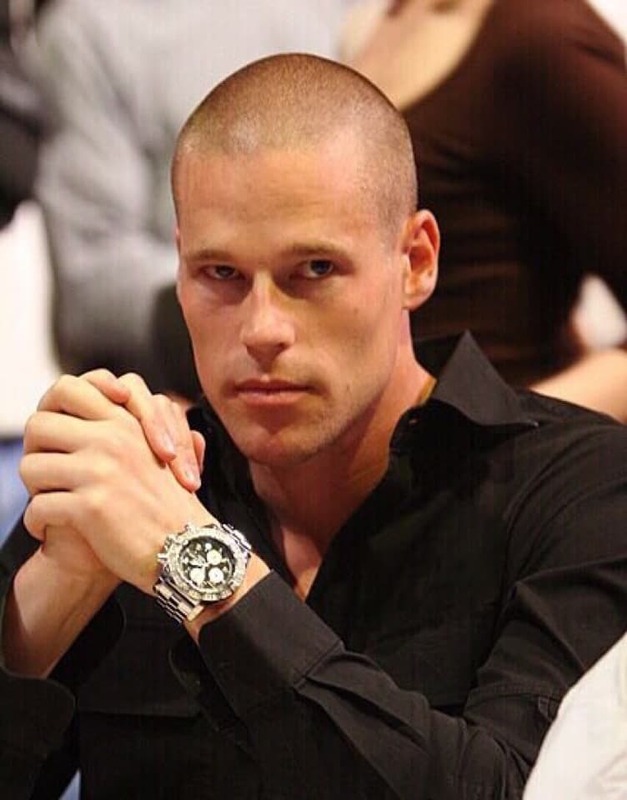 Patrik has a total Live Tournament Earnings of $7,319,790 and has won the biggest pot in the history of online poker, a massive $1,356,947 pot.